As the EU celebrates Industry Day, IMPALA calls for an ambitious industrial policy for the cultural and creative sectors, one of Europe’s main assets. Europe is the second largest "cultural and creative industry" market in the world, accounting for over 7 million jobs and 4% of Europe’s GDP. And we believe they could achieve much more with a new strategy in Europe. “A new European industrial policy would boost Europe through culture and creativity. Europe is home to some of the world’s leading artists, composers, film directors, designers… the list goes on, and includes their partners in their respective fields such as labels, publishers, producers, etc. This is a unique sector where Europe is highly competitive, and we should build on our strengths” recalled Helen Smith, IMPALA Executive Chair. 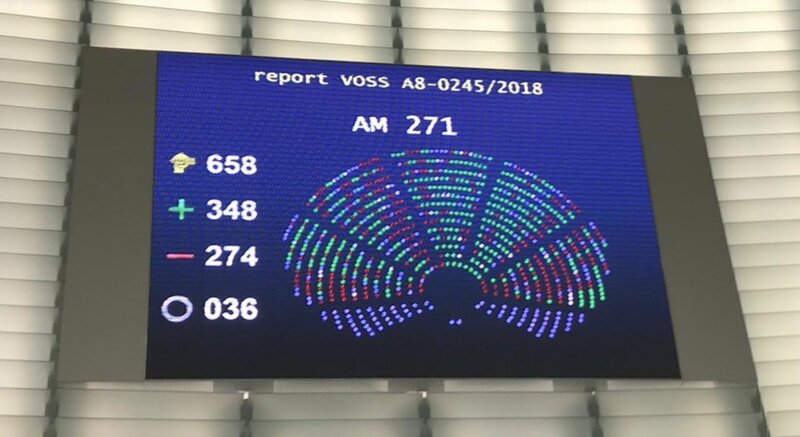 This was the topic of IMPALA's digital action plan as well as the Ehler/Morgano report on “a Coherent EU Policy for Cultural and Creative Industries” adopted last year by the European Parliament. Earlier this week, EU Commissioner Navracsics also recalled the "need to start working on a European strategy for our cultural and creative sectors” during a meeting with stakeholders on the future European Agenda for Culture. Helen Smith continued: “Europe should capitalise on the current momentum, and place culture at the top of their agenda. The added value is not just economic, it’s also a vehicle for EU values and what Europe stands for: a diverse, yet united group of countries bound by culture”. As the Commission is working on its budget proposal for 2021-2017, IMPALA and other cultural organisation have been calling for a doubling of the current budget for culture. Today this is 0.15% of the overall European Union budget. IMPALA’s mission is also to ensure that cultural and creative sectors have access to other sources of EU funding outside the traditional lines. In a joint letter, the music sector recently welcomed the Commission’s work towards dedicated EU funding for music as a huge step forward, and called for the creation of a programme proportionate to the music sector’s economic, social and cultural contribution. IMPALA was established in April 2000 to represent independent music companies. 99% of Europe’s music companies are SMEs. Known as the “independents”, they are world leaders in terms of innovation and discovering new music and artists - they produce more than 80% of all new releases and account for 80% of the sector's jobs (for more information, see the features of independents). IMPALA's mission is to grow the independent music sector, return more value to artists, promote cultural diversity and entrepreneurship, improve political access and modernise perceptions of the music sector. See the organisation's key achievements in IMPALA's first 15 years in milestones.